Print these gorgeous baby milestone cards in less than 5 minutes. Time flies when you have a baby. 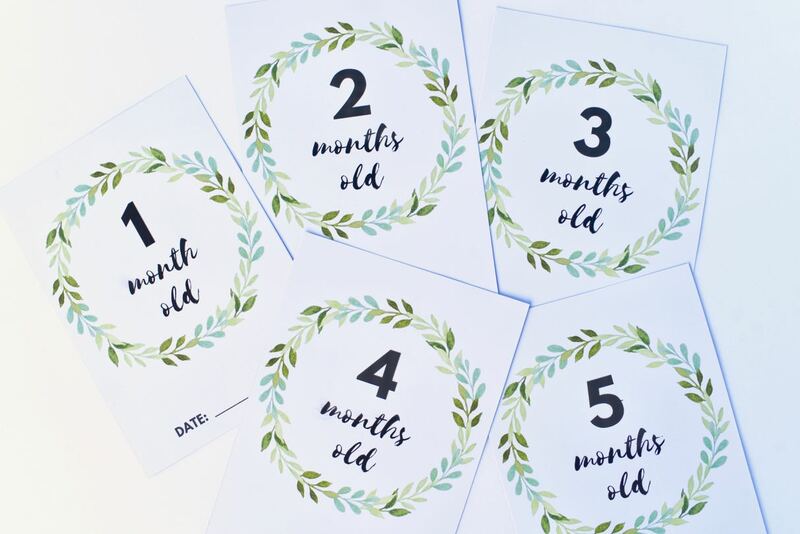 Document each stage with these helpful monthly baby picture signs and baby milestone cards. Thank you Culturelle® for sponsoring this post. Having a baby is like stepping on a whirling, twisting roller coaster ride. It’s a fast-paced, thrilling experience that will take you soaring to new heights, from one heart-palpitating turn to the next, yet is over before you know it. One day you’re caressing the smallest human you’ve ever seen, and the next minute you’re kissing your child goodbye as they head off to school, wondering where the time went. 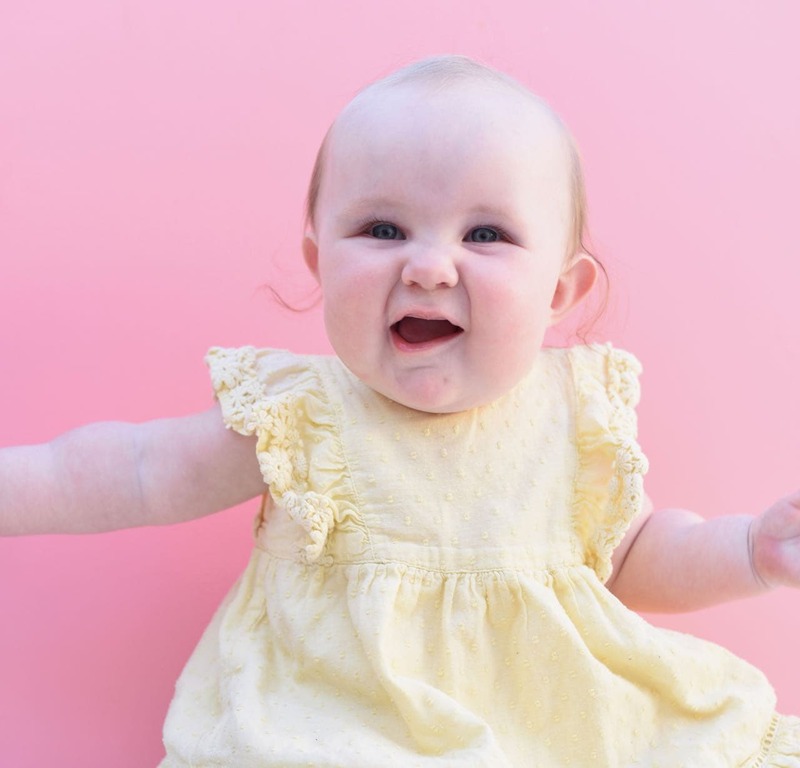 Documenting my child’s ages and milestones in monthly baby photos has been a great way for me to slow motherhood down a bit and savor each precious stage. Baby milestone pictures are a great way to freeze time, if for just a moment, so that we can remember as many details as possible about this time in our child’s life. I’ve created some gorgeous baby milestone cards that I’m giving you for free! Think of it as a gift from one mother to another. Use these baby age milestone cards in your monthly baby pictures to document your baby’s age and important milestones, such as baby’s first word, the first time baby crawls, eats solid food, etc. To print the monthly baby picture signs, just click on the link below to go the printable and print! Click HERE to download the FREE Milestone Cards. Each card is 5″ x 7″, and there are two cards per page. 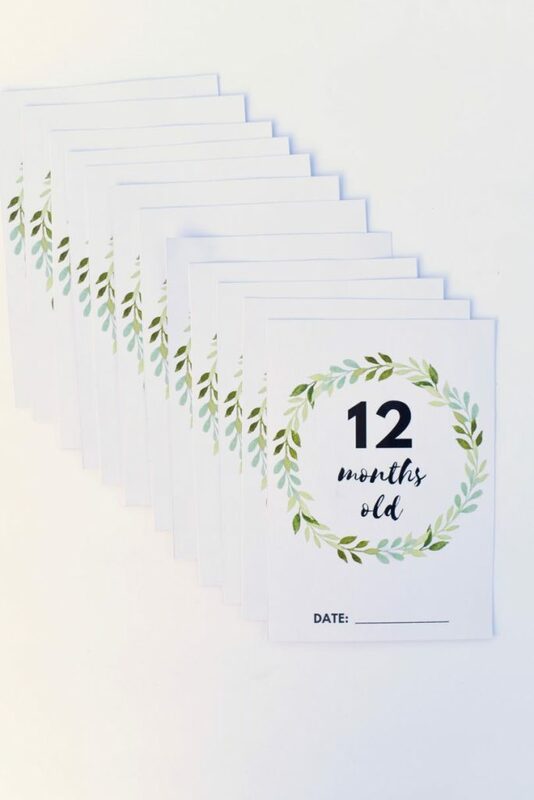 When taking monthly baby pictures, simply set the card that shows baby’s age next your baby. So easy! If your baby is older, they can even hold the card if you’d like. Did your baby just say his or her first word? Brilliant, take a photo with the corresponding card and document it easily. These baby milestone pictures make it easy to remember. 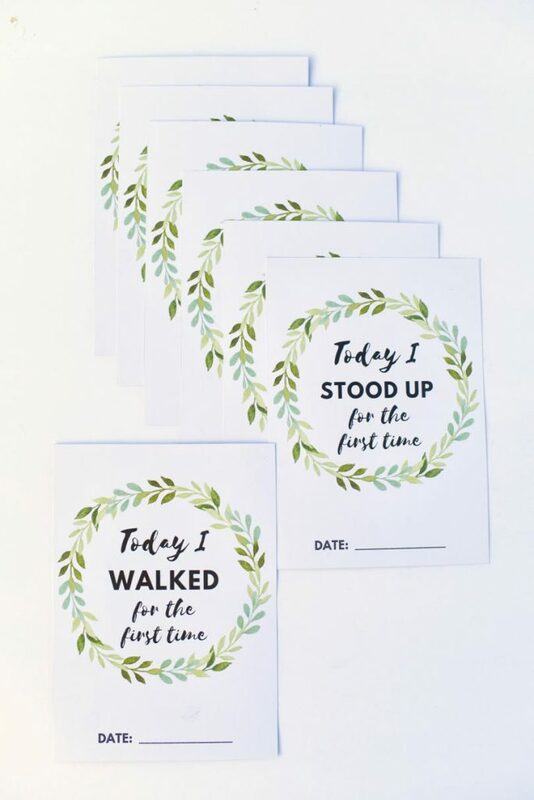 Helpful tip: At the bottom of each card there is a spot for you to write down the date for that milestone, so you can easily record it and remember. 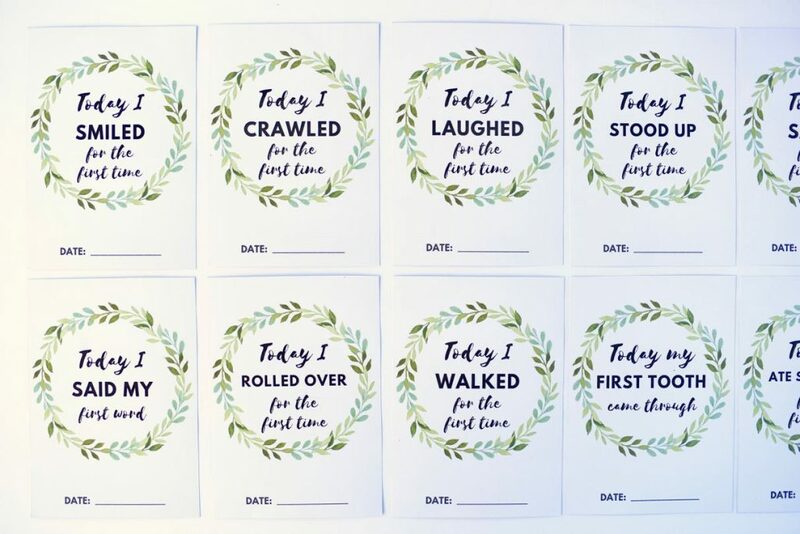 Save these cards as a great keepsake! 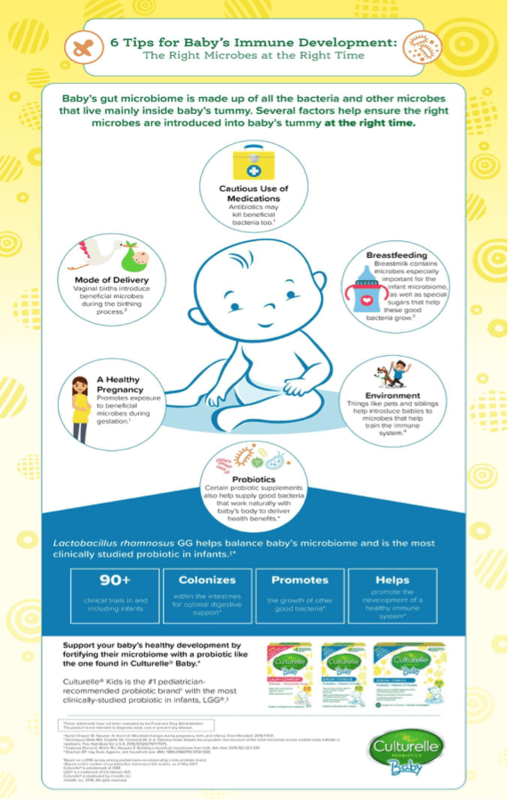 If you’re anything like me, you love bragging about your baby’s latest tricks and healthy development. I love getting excited about my daughter’s first smile, first laugh, her first roll, and every other little thing she learns! 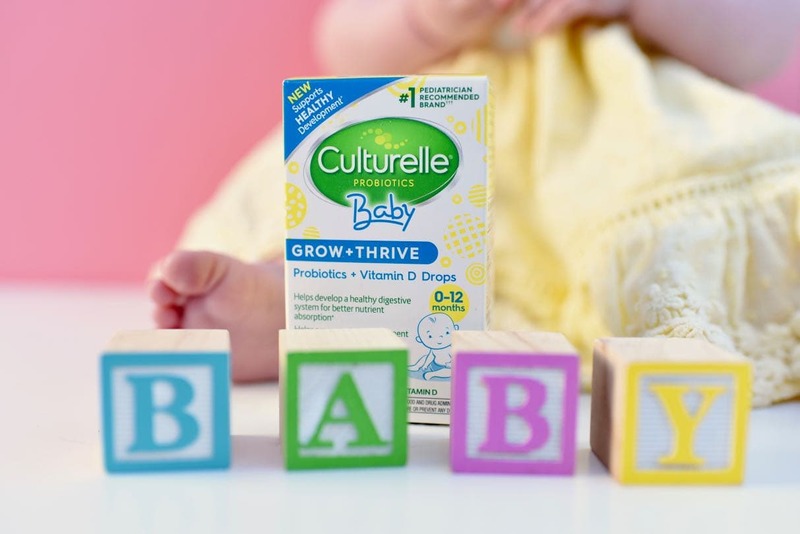 Culturelle® Baby is with new parents every step of the way to help build a strong foundation for baby’s immune and digestive systems. 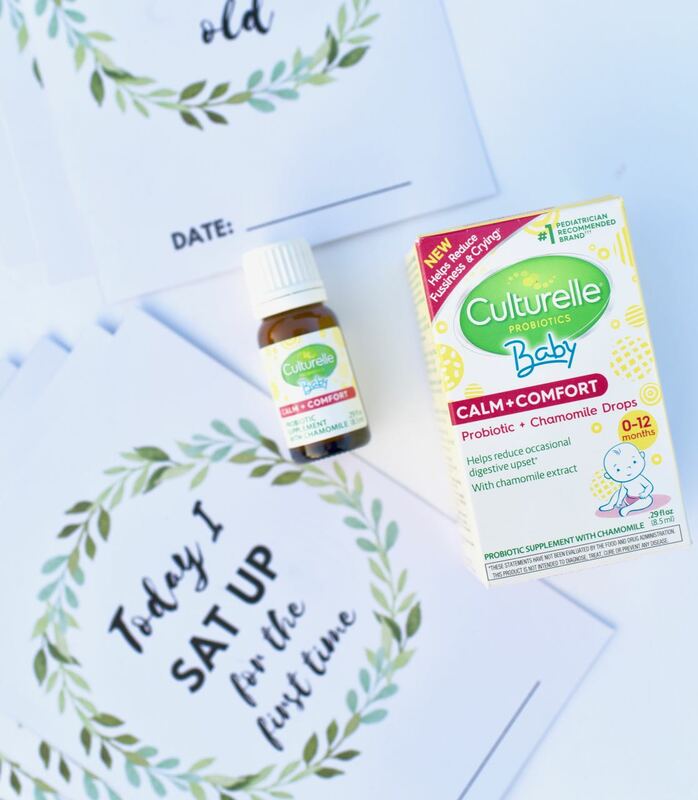 Culturelle® Baby supports babies’ health and development through Culturelle® Baby drops for infants. 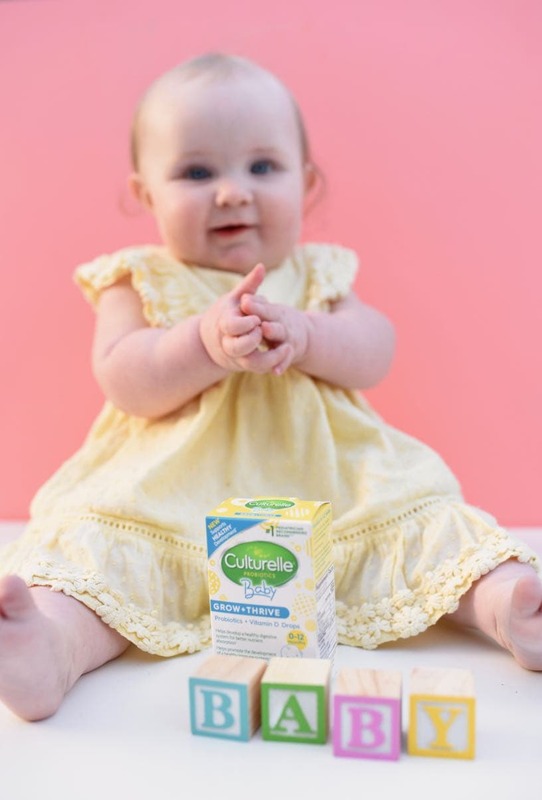 All Culturelle® Baby Probiotic products are on Amazon, which is so convenient for us busy mamas! Be sure to enter the #NewParentWin giveaway! Just post a picture of your baby in their first year accomplishing one of their milestones- trying new foods, smiling, laughing, etc. 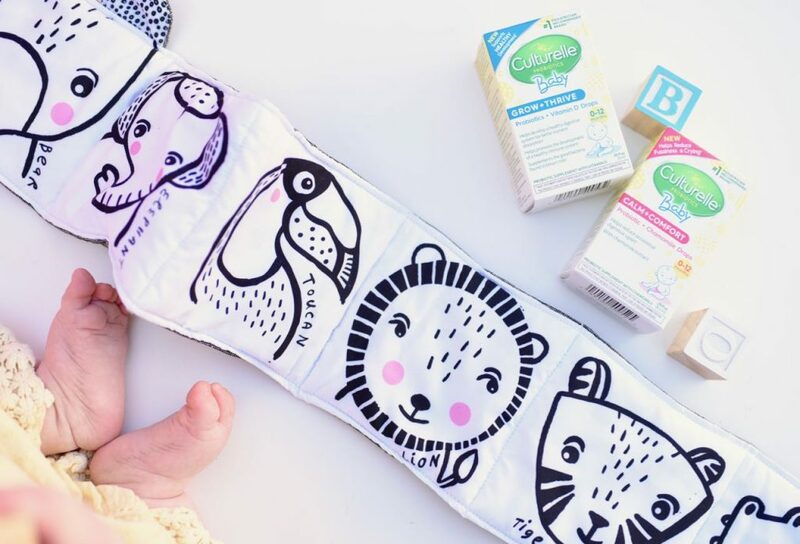 Winners will receive a Microbiome Milestone Box that includes a baby blanket, a hand print impression kit, a cloth baby book, and Culturelle® Baby Calm + Comfort and Culturelle® Baby Grow + Thrive. The giveaway will run from now through November 19, with five winners chosen each week. Check out all the details and enter here!